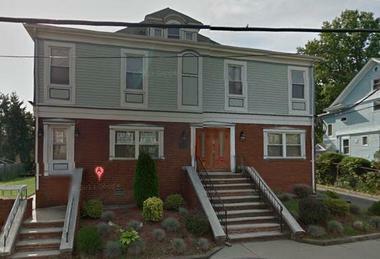 Carl Sharif, Newark mayoral candidate Shavar Jeffries campaign manager, owns this Irvington building with two others. Sharif's office in the building was burglarized Monday. IRVINGTON — Private offices of Carl Sharif, campaign manager for Newark mayoral candidate Shavar Jeffries, were burglarized Monday night, an Irvington source confirmed today. The burglary, which occurred in a multi-story building at 660 Stuyvesant Ave. in Irvington, was reported around 8:30 this morning, the source said. Sharif could not be reached for comment today but Jeffries campaign spokeswoman Lupe Todd said he was alerted to the break in early today by one of his business partners. Two laptops, an Ipad and other items were stolen, Todd said. Sharif and two others own the building, which includes multiple offices used by different individuals including Sharif, Todd said. It appeared that none of the other offices was broken into, the township source said. The Jeffries campaign said it was cooperating with the police. "The police investigation will run its course," said Todd. Jeffries is running against South Ward councilman Ras Baraka in the May 13 election.